The skeptical cardiologist has never liked the Hippocratic Oath and so was quite pleased to read that it is gradually being replaced by more appropriate oaths with many medical graduates taking an excellent pledge created by the World Medical Association. Much as I enjoy the ribald hi jinx of the gods and goddesses in Greek mythology and appreciate the back story behind words like panacea and hygiene* I just don’t feel it is appropriate to swear an oath to mythical super beings. I’ve come across two articles that are well worth reading on the food=medicine trope which is often used by snake oil salesmen to justify their useless (presumably food-based) supplements. Food is so much more than medicine. Food is intrinsically related to human social interactions and community. Food is culture, love, and joy. Turning food into medicine robs it of these positive attributes. A healthy relationship with food is essential to a person’s well-being, but not because it has medicinal properties. Food is not just fuel and it is more than nutrients — and we don’t consume it just to reduce our disease risk. Seeing food as a medicine can contribute to obsessing about macronutrientintake, to unfairly canonizing or demonizing certain foods, and to turning eating into a joyless and stressful process. The second article is from the always excellent David Gorski at Science-based Medicine entitled let-food-be-thy-medicine-and-medicine-be-thy-food-the-fetishism-of-medicinal-foods. one of the best examples out there of the logical fallacy known as the appeal to antiquity; in other words, the claim that if something is ancient and still around it must be correct (or at least there must be something to it worth considering). Of course, just because an idea is old doesn’t mean it’s good, any more than just because Hippocrates said it means it must be true. Hippocrates was an important figure in the history of medicine because he was among the earliest to assert that diseases were caused by natural processes rather than the gods and because of his emphasis on the careful observation and documentation of patient history and physical findings, which led to the discovery of physical signs associated with diseases of specific organs. However, let’s not also forget that Hippocrates and his followers also believed in humoral theory, the idea that all disease results from an imbalance of the “four humors.” It’s also amusing to note that this quote by Hippocrates is thought to be a misquote, as it is nowhere to be found in the more than 60 texts known as The Hippocratic Corpus ( Corpus Hippocraticum ). We’ve learned a lot about medicine and nutrition in the last 3 thousand years. We can thank Hippocrates, perhaps, for the idea that diseases don’t come from the gods but little else. It’s time to upgrade the physician pledge and jettison the antiquated Hippocratic Oath. We now have real, effective medicines that have nothing to do with food for many diseases. It’s important to eat a healthy diet. But the food=medicine trope is just too often a marker for pseudo and anti-science humbuggery and should also be left behind. 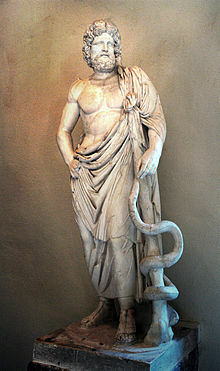 Asclepius represents the healing aspect of the medical arts; his daughters are Hygieia(“Hygiene”, the goddess/personification of health, cleanliness, and sanitation), Iaso (the goddess of recuperation from illness), Aceso(the goddess of the healing process), Aglæa/Ægle (the goddess of the glow of good health), and Panacea (the goddess of universal remedy). It is interesting that physicians pledge not to mess around with the servants, etc. as part of the oath. There may be renewed interest by the public in this area. Great article I need to share with certain family members who are nuts. An oath is a one-sided promise’ it is a contract to all intelligent ;life, that says, in effect, that the oath-taker says that he/she will act or not acrt as said, or that if not, his future words should be regarded as worthless and untrustworthy; and that therefore his oath should be published for all to see. Now, reflect on oaths taken by public servants and politicians, or anyone who speaks (i.e. or tweets) to the public. Are you a fool to support him/them? The new pledge thoughtfully expresses what every patient wants/needs from a doctor. It also addresses the key difficulties it seems each generation of medicine must wrestle with. I am curious–you mention the oath, but most of your examples come from a saying attributed to Hippocrates, dealing with the trope, so there’s not much from the oath itself. There are many things from antiquities that are timeless and do translate into our modern cultural needs beyond starry-eyed nostalgia–for example, the Biblical list 10 Commandments and similar lists of basic rules found in other ancient texts from Hammurabi to Confucius still match up with basic codes of conduct today, and some groups still claim the creeds of those who have gone before them and to good effect. What is it about the Oath that makes it particularly unsuitable to the medical profession of today? I realize all doctors are familiar with the rest of the oath (and probably mentally filling in all the blanks), but are there particular examples you find outdated besides his swearing by pagan gods no one believes in anymore? One more thought, to expand on Dr. Silverstein’s comment–sometimes such formalities & rituals serve to tie us to those in whose steps we follow–even while we recognize their faults and foibles. Isn’t there at least a measure of value in this? Particularly as you have pointed out that the spirit of Hippocrates’ medicine was observation and making connections between patient history and disease (as opposed to the magical thinking of his day that the linked articles point out). It’s the medical struggle we all (doctor & patient) face–objectivity, willingness to question, and limitations both in what we know and in our ability to be as completely objective as we wish to be. Not to mention the limitations we share of living in a world where sickness, disease, and death haunt us all–no matter how good our diet, or dialectic, may be! Heres the full Hippocratic oath which contains quite a bit which I think either irrelevant, weird, outdated or plain wrong. I felt like I would be beating a dead horse to go into more detail.